This island/billiard will update your home with its eye-catching design. Featuring a bronze finish and antique copper shade(s), this fixture will accommodate a variety of dicor styles. With its easy installation and low upkeep requirements, this island/billiard will not disappoint. This mini pendant will update your home with its eye-catching design. Featuring a bronze finish this fixture will accommodate a variety of dicor styles. With its easy installation and low upkeep requirements, this mini pendant will not disappoint. This pendant will update your home with its eye-catching design. Featuring a bronze finish and bronze shade(s), this fixture will accommodate a variety of dicor styles. With its easy installation and low upkeep requirements, this pendant will not disappoint. 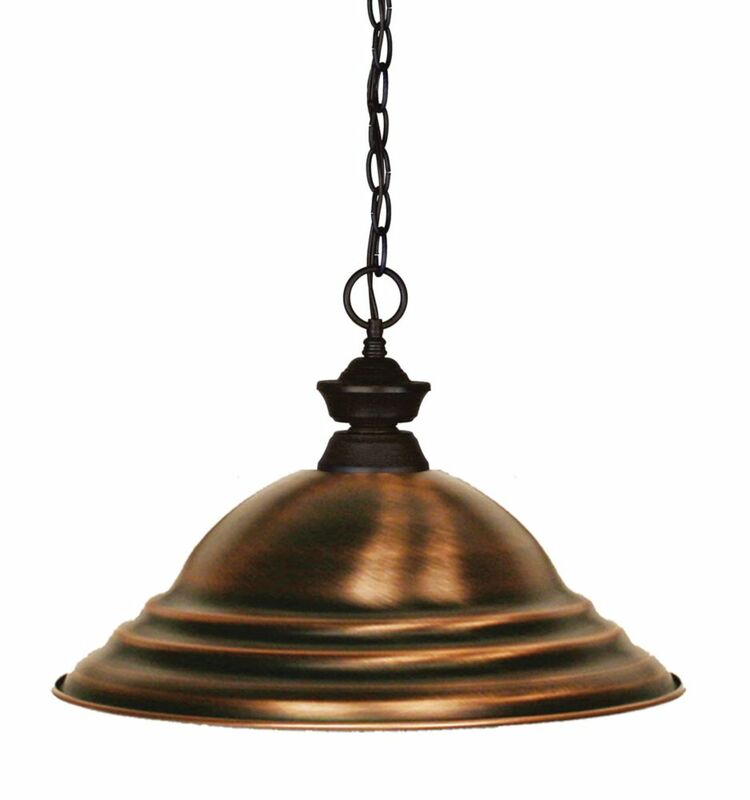 1-Light Bronze Pendant with Antique Copper Steel Shade - 15.75 inch This island/billiard will update your home with its eye-catching design. Featuring a bronze finish and antique copper shade(s), this fixture will accommodate a variety of dicor styles. With its easy installation and low upkeep requirements, this island/billiard will not disappoint.